With this 1st Pocacito Policy Brief, you will understand better the strong dynamic in China towards low-carbon urban development, by getting an overview of the country’s planned responses to its rapid urbanisation. In addition to the low-carbon pilot projects in provinces and cities, China has launched national low-carbon industrial pilot parks, including green transportation provinces and cities, green highways and green ports. 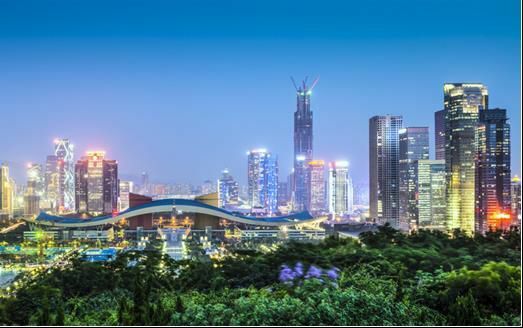 Instead of a taking a top-down approach, China is implementing a large variety of low-carbon pilot projects or policies to test different approaches at provincial, city and community levels and then incorporating successful elements into state-level pilots. Insights gleaned from these efforts may be valuable for the EU, especially in those areas where Europe is less advanced, such as industrial low-carbon pilot projects or urban-emissions trading. At the same time, the growing number of pilot projects in China may offer additional opportunities for the EU to transfer know-how or technologies in areas where the EU is a global leader, such as in bio-energy technologies, wastewater treatment or urban logistics. But China can benefit also from the EU’s experiences. More frequent interaction at the city-to-city level will therefore play an important role, with Chinese experts gaining in-depth understanding from the EU’s experiences, which they can disseminate in a way that is accessible to Chinese stakeholders and policymakers. This first Policy Brief is the first of a series of six that will be produced in the coming months on major issues addressed by POCACITO. It was prepared and written by Ying Chen from the Chinese Academy of Social Sciences, and Andreas Tuerk, Ingrid Kaltenegger and Claudia Fruhmann from JOANNEUM RESEARCH, Austria. Pocacito Policy Brief No. 1: Low-Carbon Urban Development in China: Current Initiatives, Future Plans and First Lessons by Ying Chen, Andreas Tuerk, Ingrid Kaltenegger and Claudia Fruhmann. Read our strategy paper "Sharing EU Urban solutions and technologies with non-EU and emerging cities"